The Penshurst event has inspired over 12,000 people thus far to take part in a 5k or 3.5k run, and the organisers are now reaching out to inspire the youngest generation. In 2018 six-year-old and ‘under mini’ runners can take on a 1k dash – the challenge now is whether the adults can keep up? Five thousand runners are expected to take part in Run Or Dye this year, with all participants encouraged to get covered head-to-toe in colour, before running, jogging or dancing through five different dye zones and reaching the finish line. 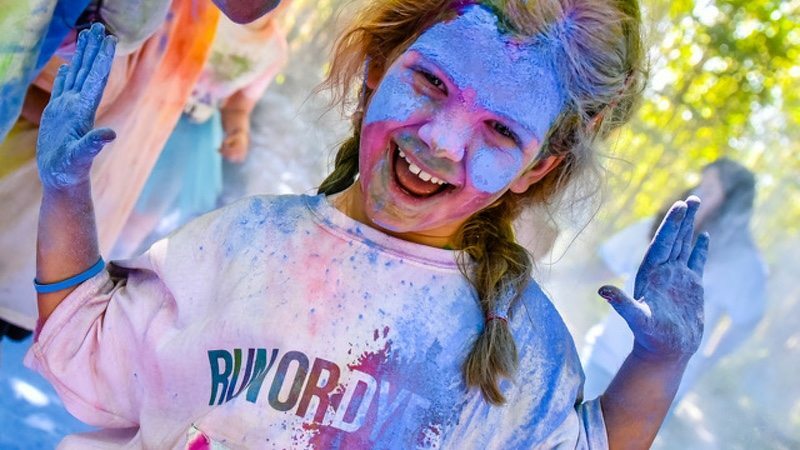 Once the runners have finished their 5k, 3.5k or 1k courses they’ll have a chance to experience a festival atmosphere with paint-throwing games, music, a variety of food and retail stalls and free access to the Penshurst Place Adventure Playground. Following on from the success of raising £25,000 for the Kiss It Better Appeal each year in 2016 and 2017, Run or Dye will once again be partnering with the Great Ormond Street Hospital appeal, which was set up by Carmel Allen (former Beauty Editor at Vogue) whose daughter Josephine was treated at the hospital for Neuroblastoma. Carmel Allen said, “Kiss it Better is something every parent says and does when their child is sick or injured. When my own daughter, Josephine, was being treated for cancer in 2003 I wanted to turn her experience into something positive and help improve the lives of children with cancer everywhere. All the money Kiss it Better raises goes to fund research into childhood cancers at Great Ormond Street and each piece of research we fund makes a difference. All runners taking part will receive a white t-shirt and a Run Or Dye goodie bag including dye packs, helping to add to the colourful aspects of the day.